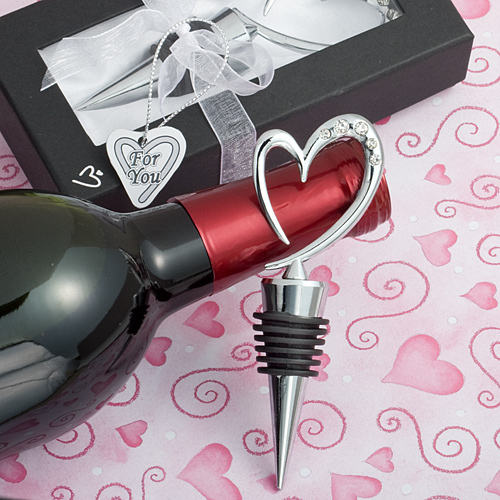 Lovely bottle stopper favour. Can also be given as corporate gifts or as something different for thanking your best man, maid of honour, ushers, parents etc. They are made of Chrome, with a heart at the top, and come gift boxed to grace any wedding table.